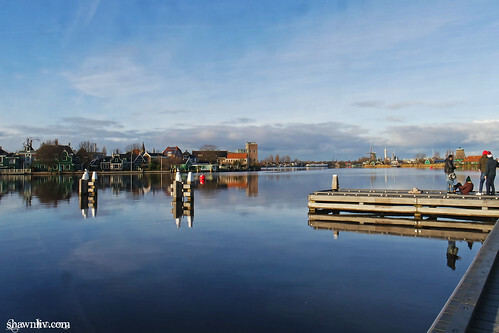 Holland, 20 kilometres north of Amsterdam. 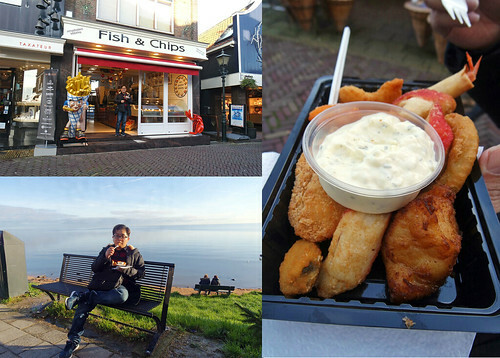 Sometimes called “the pearl of the Zuiderzee”, this place is a highly popular tourist destination. 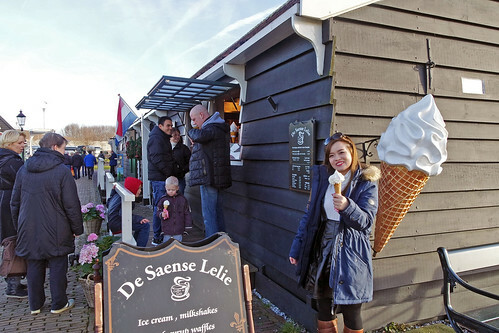 Here, you’ll find many Dutch clichés, including the traditional costumes and wooden shoes. 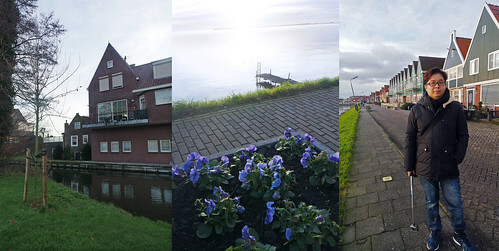 Next, heading to Zaanse Schans. 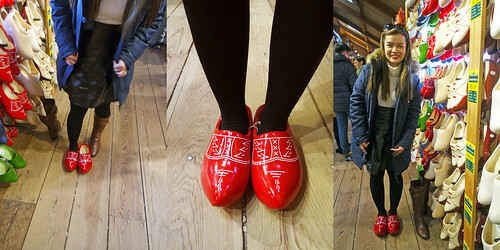 Zaanse Schans is one of the highlights of the Netherlands. 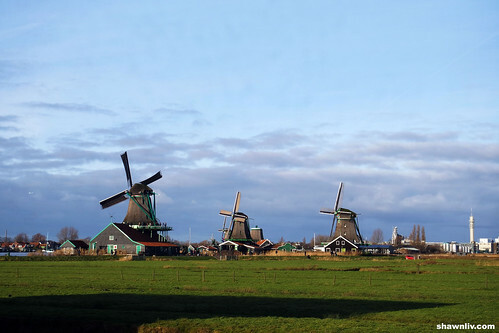 Packed with windmills, traditional crafts and museums. In the Zaan region, Western Europe’s oldest industrial area, there used to be more than 600 windmills running at the same time. The mills are used for sawing wood and grinding oil, flower, spices and colourings. 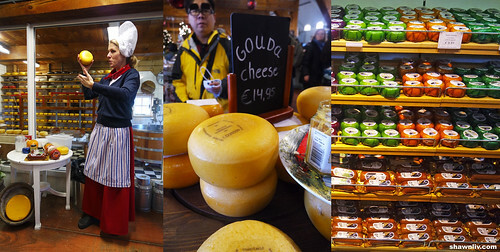 A cheesemaker amid the windmills and the watery polder.The final product is a conveniently-sized, small-format cheese in various flavours. It is easy to take home. 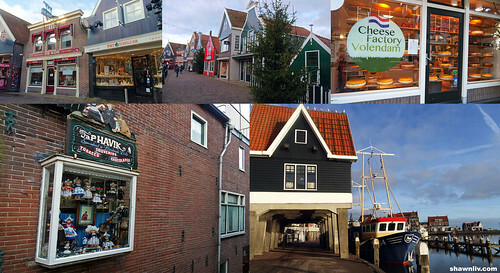 Besides, the shop also offers a selection of Dutch souvenirs. The warehouse was originally used by the Molenaar company (which made baby food) in Westzaan. The wooden shoe workshop is located in ‘De Vreede’ warehouse (1750), which was previously used to store grain and snuff. 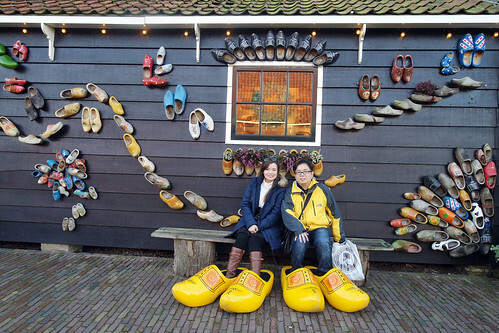 Giant wooden clogs just outside the Zaanse Schans Clog Workshop. 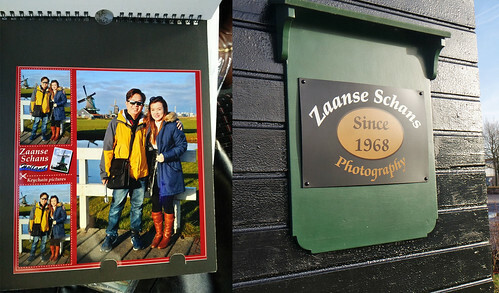 Collect our photo (EU 10) that taken in the entrance of Zaanse Schans. After that, visit Diamond factory at Amsterdam. Last, City Sightseeing Amsterdam (+the Red Light District). 1,281: That’s the number of bridges in all of Amsterdam. There are 80 bridges within the center of Amsterdam. Magere Brug, also known as the Skinny Bridge, is the most famous bridge in the city. 50% of its land lies less than one meter above sea level. Schiphol is actually 4.5 meters below sea level. The houses in Amsterdam while very tall and beautiful, as also very narrow. This was done because people were taxed on the amount of space their house took up on the street. With an average height of 184 cm for men and 170 cm for women, Dutchies are the tallest people in the world. 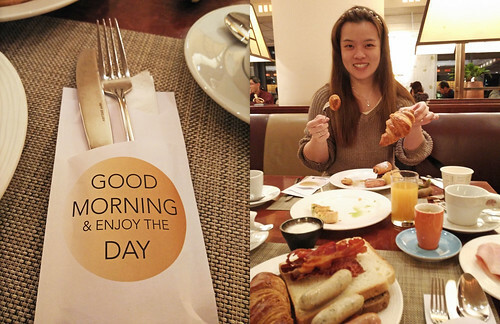 Last, dinner and back to hotel.